EBL added an impressive 17,202 new titles to the title catalog last month, including 944 science and 840 history titles. We also signed two new publishers: Church Publishing and Auteur Publishing. Check out the full list of new titles by subject and publishing partners on the EBL blog. Ebrary also added 5,032 titles for purchase in October as well. 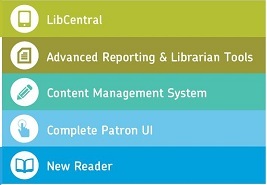 New titles came from publishers like OUP, MIT, UC Press, and Elsevier. Subjects range from medicine and engineering to history and business. October also had a special content addition highlight: the Complete Booker T. Washington Papers, Volumes 1-14, are now available from the University of Illinois Press.